Cannabidiol, or CBD, is making headlines for its historic successes in treating epilepsy. Only recently did the FDA approve a pure CBD drug to treat rare forms of the disease for children over 2 years old. However, while this monstrosity of a chronic condition certainly deserves our attention, CBD used to be famous for more humble qualities. Particularly, for many years, cannabis and its compounds (CBD being one) were studied for their effectiveness as pain relievers. Especially with inflammation pain; this field of study has been the focus of many researchers work for ages. Taking the time to review these studies, some over a decade old, shows us how CBD for pain potentially works. While there are many different sources of pain, CBD’s ability to fight inflammation pain is some of the most exciting research. In 2016, researchers at the University of Kentucky employed transdermal (topical) CBD to rats with arthritis swelling. Not only did they measure the pain responses of the rats, but also the shear size of the inflamed joints. Remarkably, after 4 days of CBD application the inflammation was reduced measurably. Additionally, in keeping withe the World Health Organization’s statement about CBD’s “good side effect profile” the rats in treatment showed little behavioral changes during the study. Unfortunately, when comparing the CBD for pain research to CBD for epilepsy or cancer treatments, the clinical studies are surprisingly scarce. Research presently is mostly cumulative, rather and qualitative. Considering the positive results of the few studies that exist, hopefully more will be underway in the near future. Despite the thin scope of studies, researchers have been able to isolate why CBD is a novel analgesic. Not just for inflammation pain, but for varying signals on the pain pathway. Generally speaking, CBD’s ability to up-regulate anandamide through the inhibition of the FAAH enzyme that promotes the analgesic properties. The CB1 and CB2 receptor pathways help regulate synaptic function. While CBD does not directly interact with these receptors, endogenous ANA (anandamide) does. Conversely, Delta 9-THC, the psychoactive component binds directly with both CB1 and CB2 receptors. This triggers the “high” feeling as well. Since CBD does not interact itself, it does not create a “high” when combating pain, or anything else for that matter. 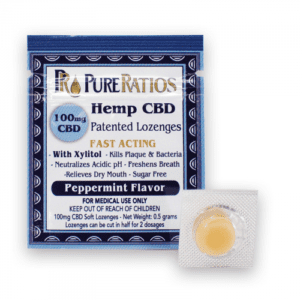 Topical CBD pain patches like the above are becoming increasingly popular, largely due to CBD’s transdermal pain relieving abilities. In conjunction with indirect activation of the CB1 and CB2 receptors, CBD also directly activates the transient receptor potential vanilloid type 1. This receptor, more commonly referenced by its acronym TRPV1 was the focus of a 2004 study at the University of Milan in rats, examining CBD for inflammation pain. Fruitfully, as the activation of the TRPV1 receptor showed reduction in measured pain responses on the animal subjects. The result was also more effective pain reduction than capsazepine, synthetic capsaicin. Capsaicin, or the “spicy heat” molecule is known to activate the TRPV1 receptor, however, the study proved CBD more effective. 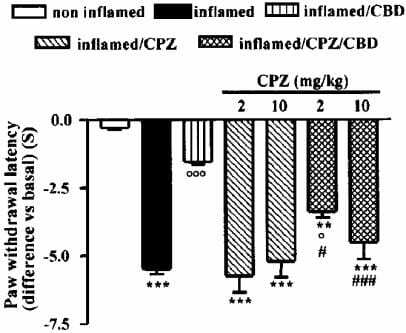 In clinical studies, rats treated with CBD showed greater pain relief than those treated with CPZ. It seems there is more work to be done, however, what we have now is promising. Notably, with inflammation pain in transdermal applications. 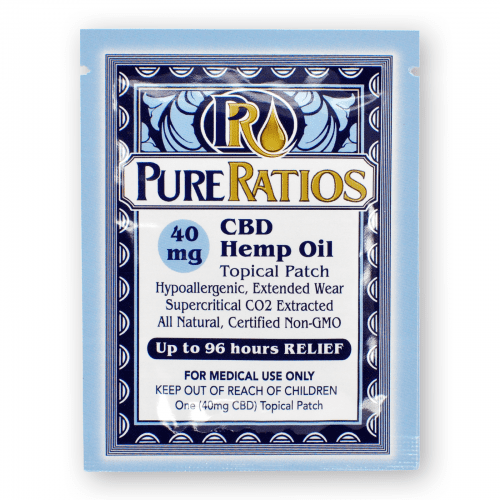 Luckily, there are a number of topical applications available, from lotions and salves to targeted CBD oil pain patches. If you are in agony and are reticent of prescription pain pill regimes, maybe give CBD a try. You’re body will thank you! 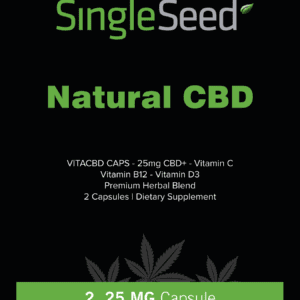 This entry was posted in Uncategorized and tagged cbd, cbd for pain, hemp, industrial hemp, medical cannabis, medical cbd, research. I am experiencing a pain in the back of my head at first i thought it was something about my head or connected to my brain because my mom died to have a brain tumor so was really worried about it. I know it looks exaggerating but i was afraid for it, then one of my friends just laugh at me and tell me that no need to worry and he give me this CBD oil, then i used it for 2 weeks now and its very useful. And ii discovered this site https://www.greenmed.io/blog/21-interesting-facts-you-need-to-know-about-marijuana/ it helps me to learn new things about taking this kind of thing. and I’m loving it. You should try to go look for this site as well.